Strategic Data Systems (“SDS”) has immediate openings for mid to senior level Java and .Net software developers, mobile developers and agile coaches. Do you think you can make the cut? If so, take our code challenge by Emailing CodeChallenge@sds-consulting.com with your contact information and we will provide a worthy challenge to your skills. Since 1992, SDS has relied on our team of consultants to provide specialized technology solutions to companies throughout southwest Ohio. Our core strength is our skilled consultants. We invest in our employees and stay focused on the technologies required to meet the demands of the market while exploring innovative technologies to prepare for the future. We encourage our team to be strong members of the IT community. We seek out and hire professionals who are passionate about the technology and about making a difference for our customers. We provide on-site consulting services to extend your internal team; off-site project development; agile project management; agile coaching; and SharePoint development. Explore our service offerings at http://www.sds-consulting.com. 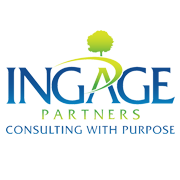 Ingage Partners is a different kind of company. We are inspired to blend our careers with our desire to make a measurable difference in the world. Our talented team of consultants serve greater Cincinnati clients by providing management and technology consulting expertise. Our success as a business fuels our ability to create a positive impact on our community. We work alongside our clients to capitalize on opportunities to transform their business. Our team provides full delivery capabilities across the following solution areas to increase value delivered and provide a leap forward for organizations of all sizes! We have talented software developers, agile coaches, business analysts, project manager and user experience professionals. Want to know more? Talk with us! Centric Consulting is a business and technology consulting firm providing full-service management consulting services. We help clients tackle their toughest business challenges with innovative and measurable solutions.As veterans of leading firms, our senior-level consultants have extensive experience delivering high-profile projects on the most pressing and relevant technology topics. Our business model is simple; create localized consulting practices that provide the best value to our clients and the best working environment for our associates.Centric was founded in 2001 and is a privately owned company. Accelebrate is an IT training firm headquartered in Atlanta, Georgia, USA that provides on-site and online training on a wide variety of technologies for clients in North America, Europe, and worldwide. The firm was founded by Steve Heckler in 2002. Honorary Sponsors are companies or individuals who provide some service or sponsorship to CINNUG that the directors feel deserve special notice. Max Technical Training specializes in working with top-level IS professionals to assess and implement short- and long-term strategic training solutions. They have provided CINNUG with a place to meet since the group was founded. If you are looking for some in-depth training, check out Max Train. Built for .NET developers by .NET developers, Everleap is fast, flexible, scalable, fault tolerant, load balanced ASP.NET cloud hosting. If you're looking for a manageable, affordable alternative to Azure, or your .NET applications have simply outgrown traditional ASP.NET hosting, Everleap may be just what you're looking for. It's everything that's great about the big cloud services without any of the painful, expensive parts. Our Values: Intelligence, productivity, innovation, quality, self-development, efficiency, creativity, devotion once we started this row we’ve noticed that this would be very rave self-review, but every word is very true, and we are proud of it. Our Story: From the very Millenium up to our days we are keeping eye on every detail to make people develop with pleasure. Devart is a recognized vendor of database connectivity solutions for Microsoft .NET and Embarcadero Delphi development platforms as well as database management software. Company's solutions support such databases as Microsoft SQL Server, Oracle, MySQL, PostreSQL, InterBase, Firebird, and SQLite. Along with database oriented software Devart offers productivity tools for Visual Studio developers and security components for Delphi. Devart tools help you to be empowered, stay focused, and deliver your best all the time. Each CINNUG Member is entitled to receive a one-year free subscription to CODE Magazine! CODE Magazine was launched with one primary goal: provide the Microsoft-oriented IT community with an advanced technology magazine that explains in-depth how to actually use Microsoft's development tools. From the beginning, the magazine has focused on technologies and application architecture "best practices," illustrating them with examples in multiple programming languages. This strategy has proven to be right on the mark, as Microsoft's new .NET Framework and Visual Studio .NET have provided a new, unified development environment that can be programmed with multiple languages. Additionally, CODE Magazine expands the knowledge base of IT managers and developers by including important development topics often overlooked by other magazines, such as UML Modeling, Requirements and Use Cases, Testing Strategies and even Improving Client Relationships.